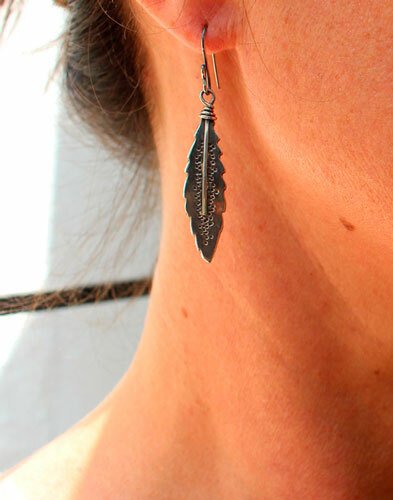 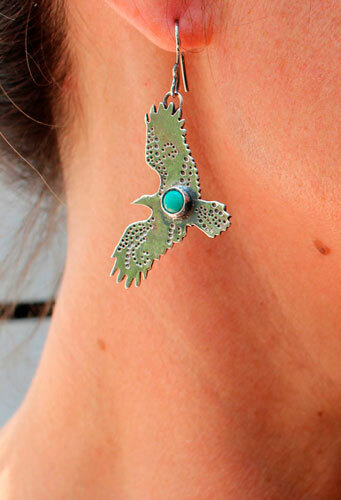 An eagle and and a feather make this pair of unusual earrings. 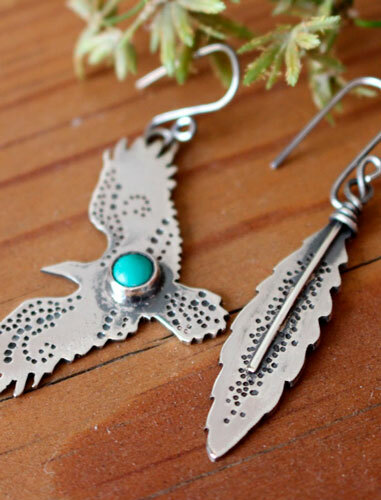 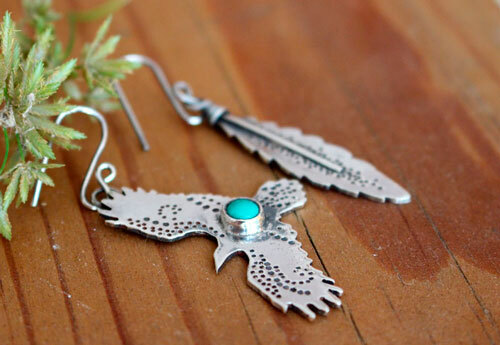 A small turquoise stone was bezel set on the eagle shape earrings. 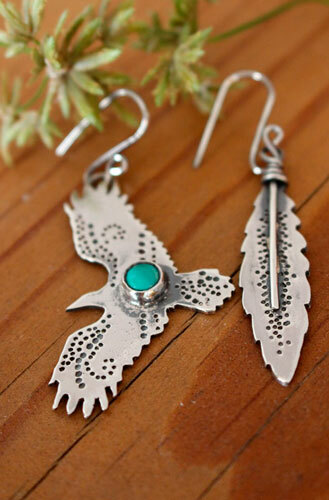 They were then slightly oxidized for a vintage look. 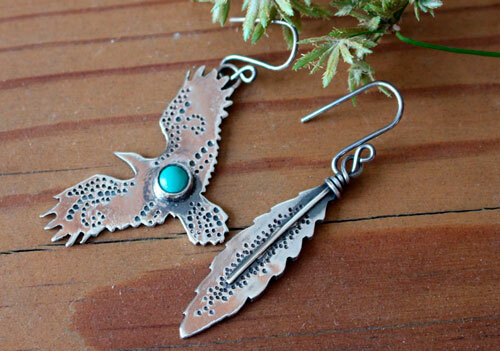 These earrings are made for an adventurer. 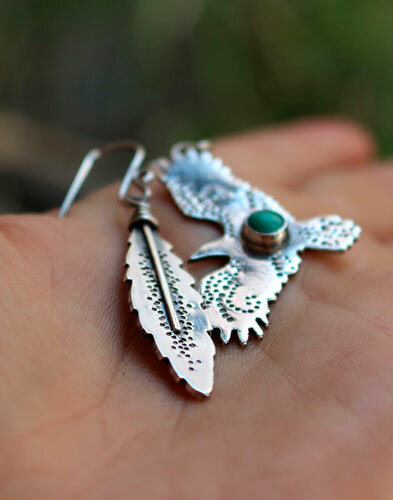 Tag: earrings, sterling silver, eagle, feather, bird, turquoise, stone, blue, oxidized, fight, warrior, boho, delicate, romantic, symbol, wedding, engagement, baptism, wedding anniversary, animal, nature, wildlife, force, inspiration, writer.